"No Spray, find another way~"
Soil, without, life as we know it just would not be the same. Soil holds the minerals and nutrients with in a web of life that we need to grow, sustain and be healthy. Over the years a lot of information has been spread about soil but not too many humans have a clear understanding of what exactly is “soil”. According to my college professor, Bruce Mathews, “Soil is the unconsolidated (fragmented) minerals and organic (humus) material on the immediate surface of the earth that serves as the natural media for most plant growth.” Really! What a mouth full! In other words, soil is the small, broken off pieces of rocks, and rocks are a compilation of different minerals, and dieing plant and animals matter (organic matter) on the surface, in which plants grow. So with out soil, we would have a hard time growing food, wearing clothes, sleeping in that nice bed and even driving our cars! What is interesting is that soil grows in age, very much like us humans. There are young soils and there are old soils. Soil age has to do with the amount of minerals that are held in the soil, the older the soil, the less minerals it will contain. Hawaii is interesting in that it has young soil (created near the lava) and very old soils (on Kauai and Oahu). 1. Climate, for example, the wet, warm environments make the fastest forming soil. Hawaii’s Climate! 2. Vegetation, some plant roots can excrete chemicals that break apart rocks which can create soil faster. 3. Parent Rock, quarts rock (lots of minerals) in the mainland takes way longer to break up into small, tiny pieces than Hawaii’s lava rock. There are two main types of parent rocks, those that are basic, or “Matil Rocks”, these are richer in magnesium and iron and lower in silica and quarts. The other type of parent rock are acidic or “Felsoc Rocks”, these are richer in silica and quarts. 4. Topography and Drainage, areas on a slope will break apart faster with rain and wind than those on the flat lands of a valley. Hawaii’s landscape! In Hawaii, the topography alone makes it an ideal place for erosion, but 150 years ago Hawaii had little to know erosion, according to CTAHR publication : “The Problem of Saving Soils in the Hawaiian Islands”. Erosion started when the native forest were harvested, cut down and the forest soil exposed to the heavy rain and pounding sunshine. With no protection microbes died and the nutrient rich top soil was washed away with the next heavy rain. This erosion cycle has continued with the different types of agriculture productions that have been “tried” in Hawaii’s ideal climates. Hawaii’s weather pattern makes this state ideal to grow lush food forest with gardens, perrenialls and fruit trees. Instead we have allowed the “food industry” to practice any type of production style agriculture they want to. It definitely was not to “No Spray”. People drove heavy machinery around ripping out trees, diverting streams, sprayed mass amounts of poisons, toxins and chemicals resulting in leaving mass amounts of Hawaii’s top soil exposed, vulnerable and susceptible to erosion. Erosion did happen. As a result of these practices, the rivers become polluted with the excess nutrients. The sediments caused native aquatic species to die. The sediments, nutrients and newly perished river creatures then were pushed out to the ocean by mere force of gravity. The oceans coral reefs then became so polluted over time with polluted river run-offs that they die. In fact, a coral reef use to extend along most of the Hamakua Coast on the Island of Hawaii. But has since perished with all the polluted river run-off from irresponsible agriculture practices. Don’t mean to be so negative, but being “real” is different than being negative. Once I found out about these facts my life changed. I look at soil differently I look at Hawaii’s landscape differently. I look at the rivers differently. Hawaii’s landscape and rivers are merely a means that brings the nutrient rich top soil into the ocean that eroded from prime agriculture land that is exposed due to poor agriculture practices because there is no understanding of what soil really is! It starts with me, it starts with you. ALL this can change by helping spread an understanding of the importance of soil and how it is connected to every thing including our food, our water, our clothes, our bed, our cars… everything. Let us begin to all take a stand to protect it so our children can enjoy the similar things that we do. How? Buy local food, support an organic farmer and plant a garden and grow your own food! I hope this has enlightened you. 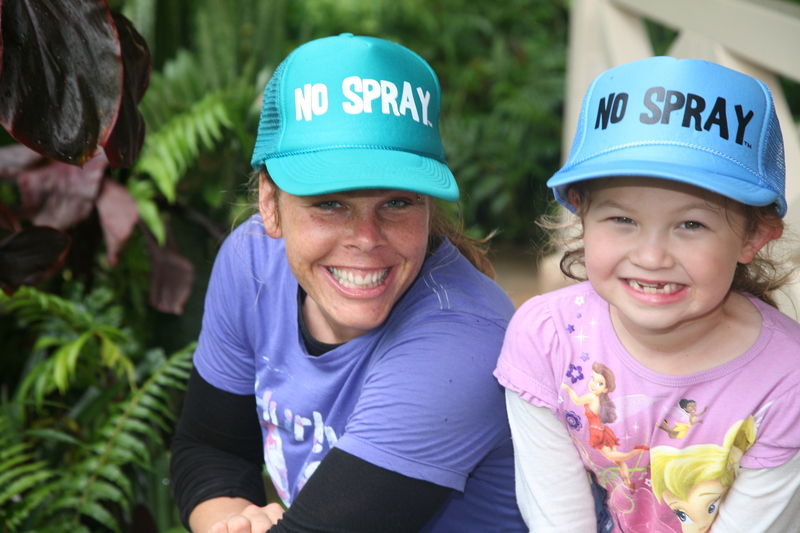 Interested in WWOOF ing on our No Spray farm in Hawaii? We are now open to WWOOFers and INTERNS! CLICK for more information. 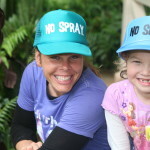 If you are interested in writing on a agriculture topic that helps other learn, garden or become aware of current agriculture practices for No Spray Hawaii, please feel free to Contact Us.